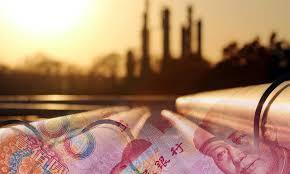 Regular readers will be aware that we were among the first to alert western financial markets that China would introduce a new oil futures contract priced in yuan, months before it was officially admitted that the plans for the contract were being finalised and a date for trading was being planned. Now we turn to the circumstance faced by the dollar. Just at the moment when the role of the petrodollar is being undermined by the new yuan contract, and the non-American world is still awash with dollars following the last financial crisis, President Trump is increasing the budget deficit, and consequently we can expect the trade deficit to increase further as well. Agreement from the Chinese government can be assumed to have been a precondition for these talks to have proceeded, even though it is a private sector matter, because it involves gold, gold markets, vaulting on the mainland and foreign regulators. It is anticipated that the vaulting facility will be available in two or three months’ time, well before the first delivery date for the oil contract.